This is a fabulous mid-century decanter for your 1960s cocktail bar or drinks cabinet. 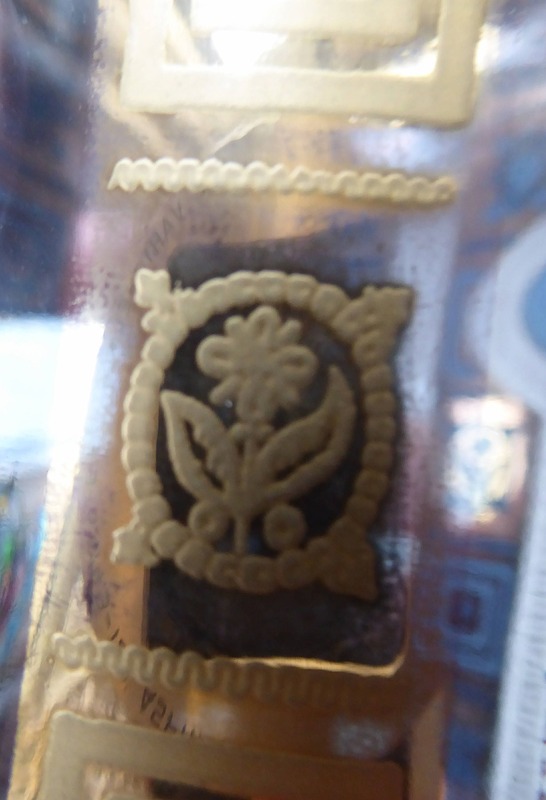 It is very unusual and probably now a unique survivor - I have owned this for a number of years, and I have never seen another one like it. This is a fabulous glass tubular shaped decanter for keeping your Whisky in. 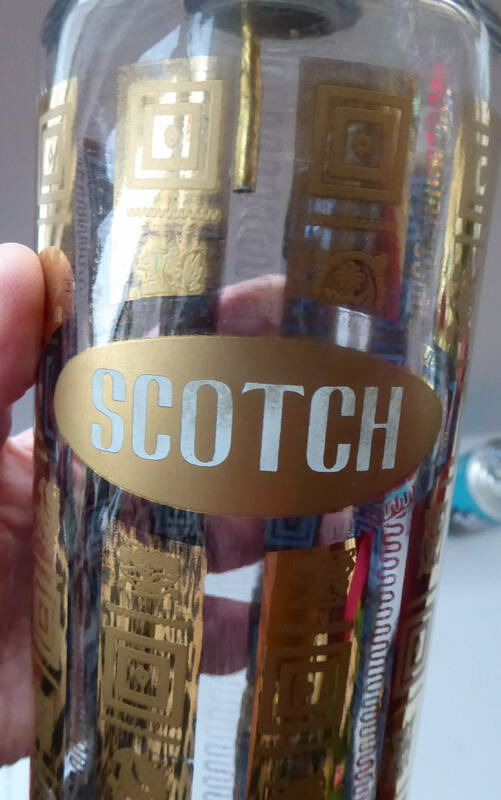 It has a gold oval lozenge shape on the front with the word: SCOTCH picked out in white letters. The top is an onion-dome shape and also acts as a drinks pourer section. It has a gold tone finish. 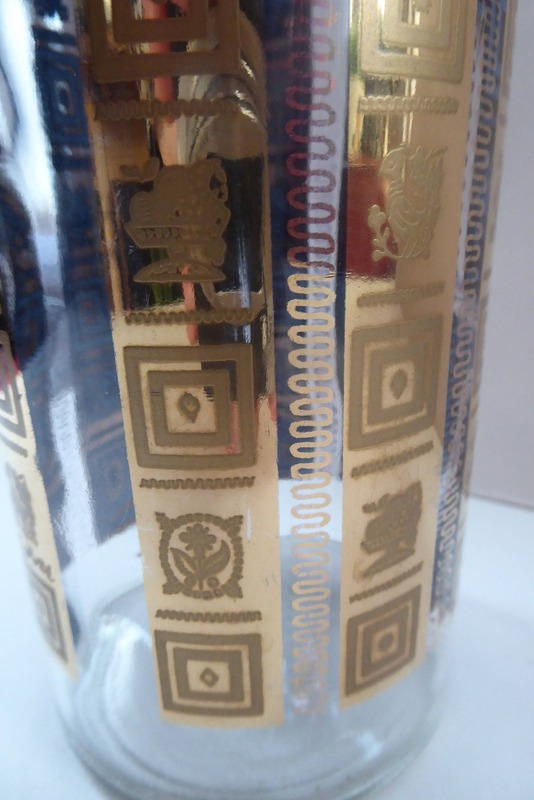 The main body of the decanter is clear and it has iconic 1960s abstract designs contained in little squares and running down the body section within gold stripes. 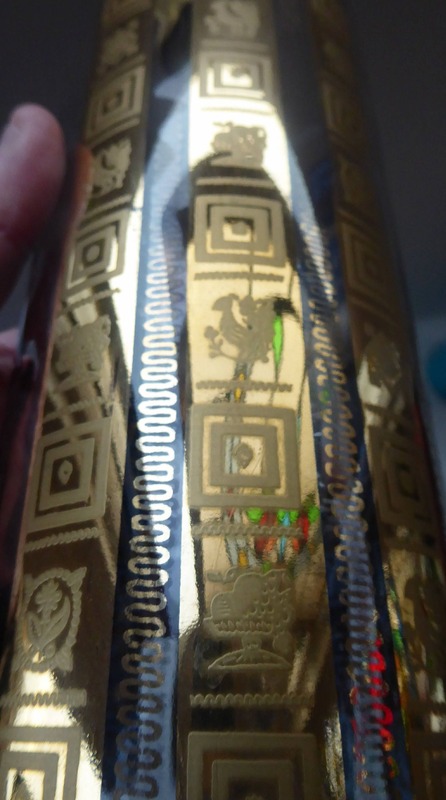 Between each gold stripe are little squiggles running the length of the bottle. 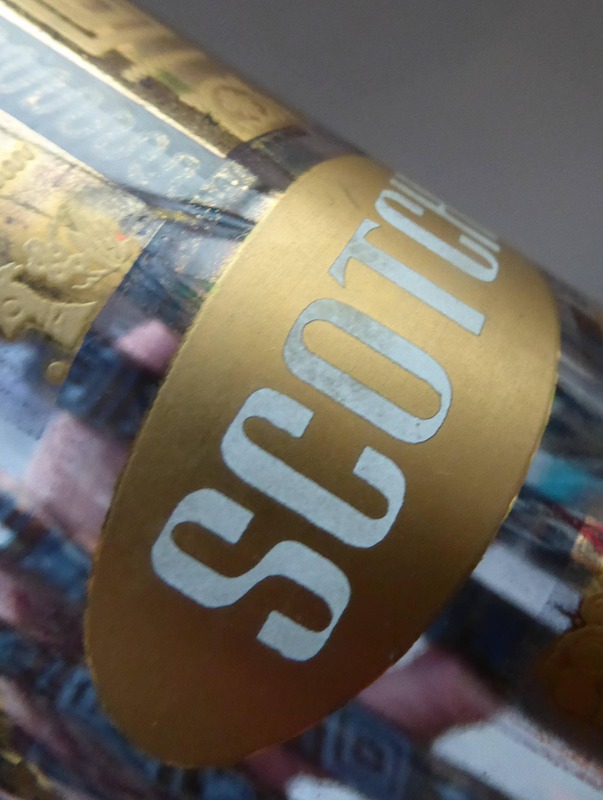 With the golden colour of the whisky inside- this decanter bottle will certainly shine! 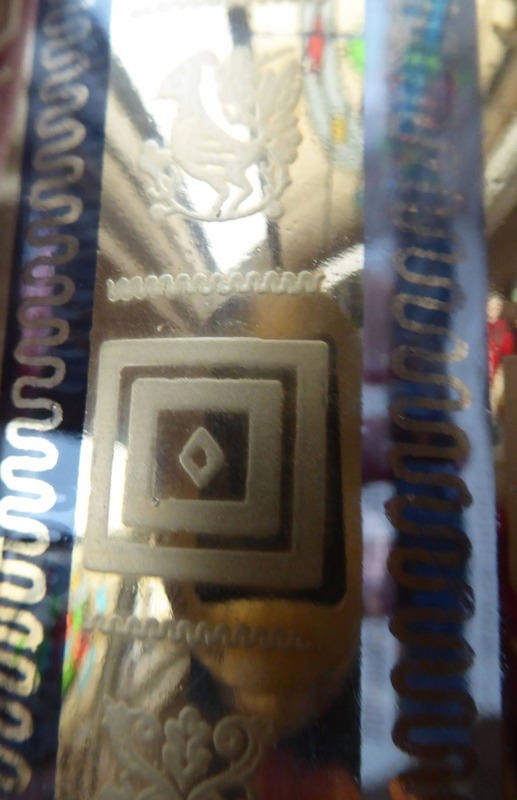 I have taken some photographs in close up - but with all the shiny gold areas it has been quite difficult to take good or indeed clear photographs - so hope that you are able to get an idea of the decoration. 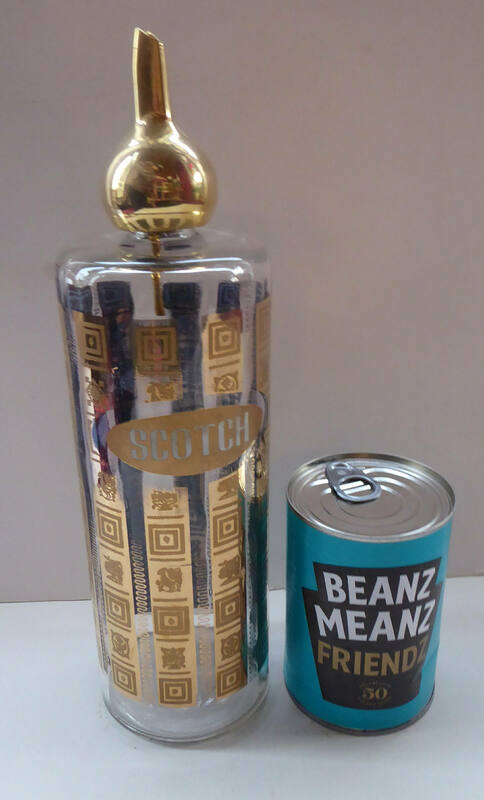 The bottle has an overall height of 11 1/4 inches and a diameter of 3 1/4 inches. No chips or cracks - and no staining to the interior. 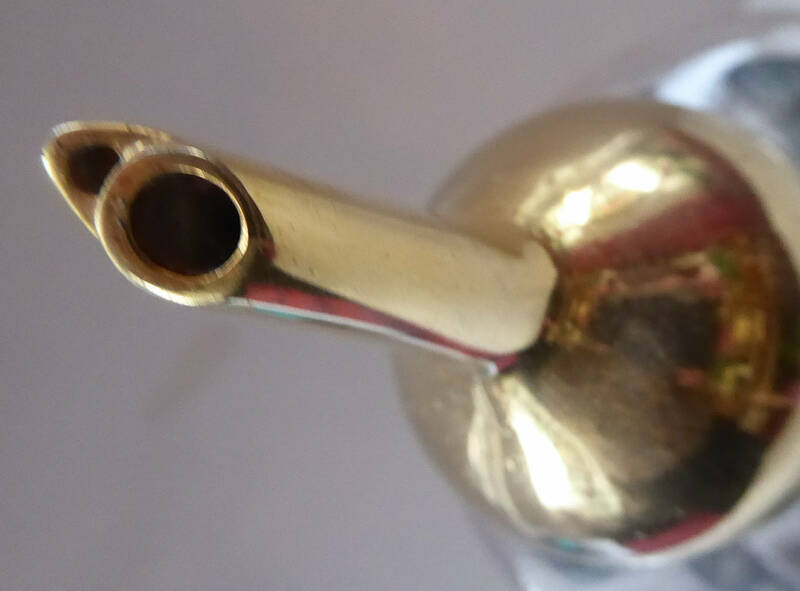 The rarity of this item - and its sheer decorative quality of the design is reflected in my asking price for this very quirky Whisky Decanter... you won't see another like it... very Barbarella or Carnaby Street.